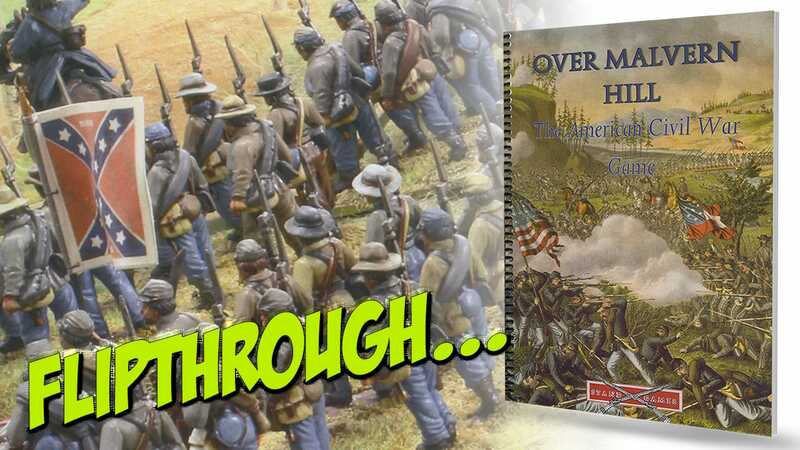 Over Malvern Hill is an A4, spiral bound softback rulebook, printed on 71 pages of durable, high quality card. It is an adaptation of Stand To Games’ Over The Hills Napoleonic rules to regulate combat between the various forces employed during the much later American Civil War. The rules use ten sided dice, although there are options for using two six sided dice if you like. The rules cover a great deal of ground, as shown by the contents page. Designed with a particular basing methodology in mind, the rules may nevertheless be adapted to reflect whatever players already have, even with regard to men to figure ratios. The rules are designed with the idea of using 28mm miniatures , but do contain a way to convert them to other figure sizes. The core of the rules is the same as the Napoleonic set, to whit the use of Fatigue as the main record of the fighting ability and the willingness to carry on. Units with higher scores will last longer in battle than those with a lower score, and Fatigue is lost as a result of movement, actions and casualties suffered. The Commander of each Division, Brigade and Overall is also a deciding factor. Each commander has a Command Range within which he may issue orders or exercise any control at all. If a unit is within the command range of its Brigade commander, it can act as desired. A Divisional Commander may issue orders to their Brigade commanders and Army commanders in range may have an effect on the actions of Divisional. If any of these parts of the chain of command are outside of the influence of the other, then things become more difficult, with units, Divisions and Brigades becoming less effective in terms of movement, attacking and more. The rules continue with the use of various types of formations typical of the time, including cavalry and infantry. There are some useful, easy to use diagrams for the turn sequence, plus easy to use charts and information on how to change formation, movement distances and more. A nice touch is the fact that, unless a unit is within 12” of an enemy, they can move as far and in any direction they like. All types of typical terrain are covered, with simple but sensible rules which add a level of ‘realism’ without overly slowing down gameplay. After covering the issues of line of sight and clarifying the issue of whether a unit is Engaged or Unengaged (within 12” or out of 12” of an enemy) and Rallying, the rules move onto Shooting, covering all arms of the forces, the various weapons from smoothbore muskets up to Heavy Rifled Artillery. Again, firing is a simple procedure, with some simple fire factors based upon range, ability, target, cover and the other usual factors. A nice touch is the ability of the various weapons to engage figures in wooden and brick buildings, bringing an often dis-regarded but important element to a war fought amidst the farms and hamlets in a settled area. Artillery firing at tabletop targets is also covered, with suitable modifiers. Once all the modifiers are applied, a D10 is rolled, with the result cross-referenced on a chart to find how many Fatigue points have been inflicted upon a target. The more the better, as the aim is to reduce the ability of the enemy to fight. Close combat is a little more involved than Shooting, as it is possible for most units to attempt to counter charge their attackers, but uses broadly the same system, meaning that once you have grasped the modifiers and morale factors of one, you more or less have the rules for the other. The combinations of what type of unit is attacking which are covered remarkably well, and appear to feel ‘accurate’. Units which are victorious in close combat have a series of options, and the realities of fighting within a town or similar are catered for, again in a fashion that other ACW rules don’t always address. 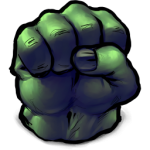 The resulting Morale states of the combatants are covered, which inevitably lead to rules for defining the ‘Winner’ of a game. A number of victory conditions are given, but most involve calculating the number of Broken or Fatigued units on each side and seeing who has 50% or less of their force still upon the battlefield. The next few sections deal with optional rules, including issuing Brigade Orders in a style based upon the ‘realities’ of war in the period, with lost orders, how orders are interpreted by those who receive them and orders of a more limited fashion than those which may be used otherwise. The remainder of the rulebook contains various Appendices and optional rules which may be employed, plus advice on creating suitable Army Lists for the years during which the war took place. Siege rules are here, another interesting option to be found in an ACW set, plus some useful ‘Fog of War’ ideas and how to use 2D6 in the game rather than a D10. flat’ style spiral bound book makes them very accessible during a game, especially given the use of some quite heavy gauge and durable card. In addition, the inclusion of artwork and images of painted miniatures, plus the efforts to provide easily accessible examples and optional rules, makes this a remarkably easy read. Overall, this is a set of rules that really feels like it has been focused upon the type and style of warfare that was typical of the American Civil War and one which has covered pretty much every possibility that is not always found in others.